For Colorado County maps, see the samples shown above and below on this page. 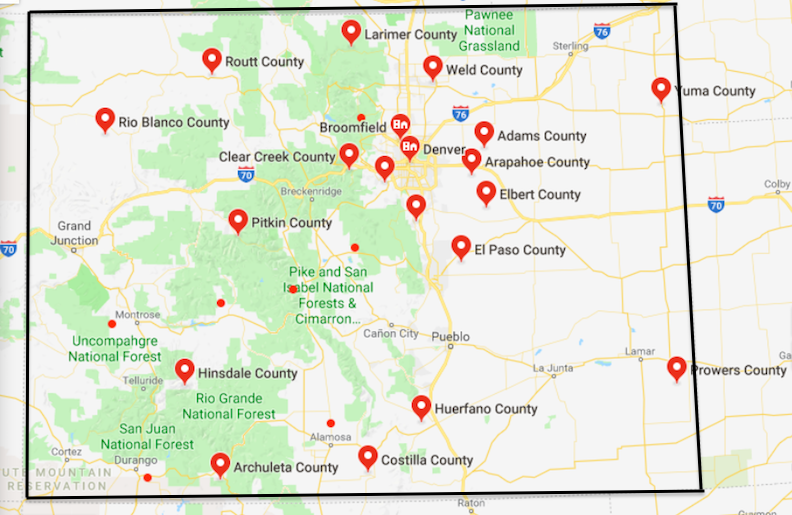 Scroll down for a google map of counties in Colorado. Read on to learn fun facts about the state of Colorado, and also see links to other free printable maps. In 1876, Colorado became the 38th state admitted to the union. 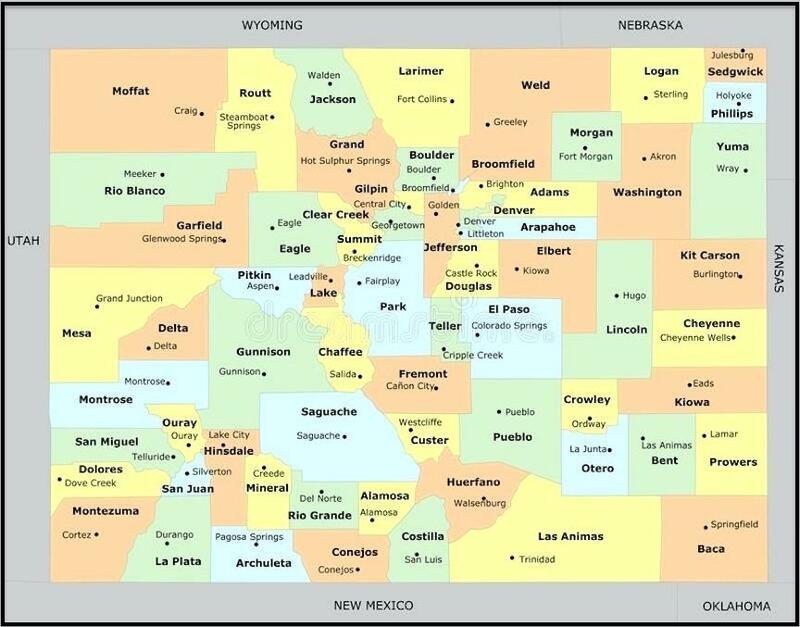 Today, the state of Colorado is home to roughly 5.5 million people. Colorado has the highest elevation of any U.S. state. Colorado was the first state to legalize marijuana. Immortal actors Lon Chaney and Douglas Fairbanks were both born and raised in Colorado. The first vehicle license plate was issued in Denver in 1908. Engaging in snowball fights is illegal in Aspen. The first Teddy Bear was invented in Glenwood Springs, in honor of Teddy Roosevelt. It has been said that the lyrics to "America The Beautiful" were inspired by a climb up Pike's Peak. The root beer float was invented in Colorado, and was originally called the Black Cow. Colorado is home to one of the world's largest alligator farms. Look Here to see the best of The Annual World Snow Sculpture Championships in Breckenridge.